Do you have a favorite holiday? For a lot of people, their answer to that question comes at the end of the year, as if it were the stunning conclusion of what has been going on over the past eleven months or so. Naturally, we are talking about Christmas. Whether you celebrate it for religious purposes or if you are secular and you just enjoy all the festivities, there is little doubt that there is a lot of enjoyment to be had. Parties and events virtually come hand in hand with the Christmas season. 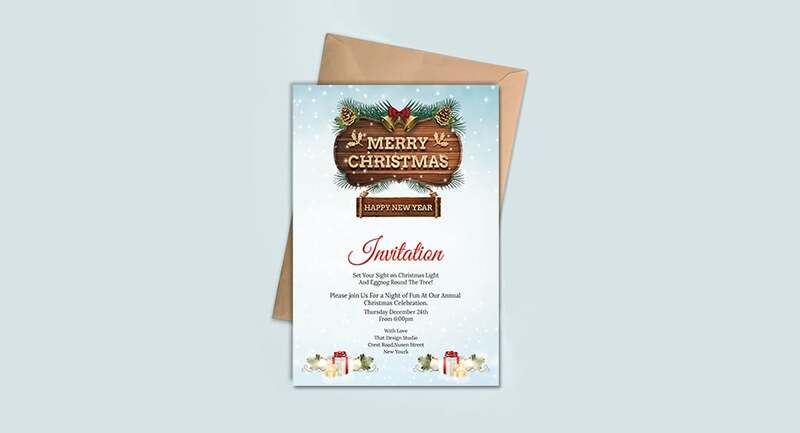 It is for that reason that free Christmas invitation templates become so popular around this time. So is that what you are looking for? 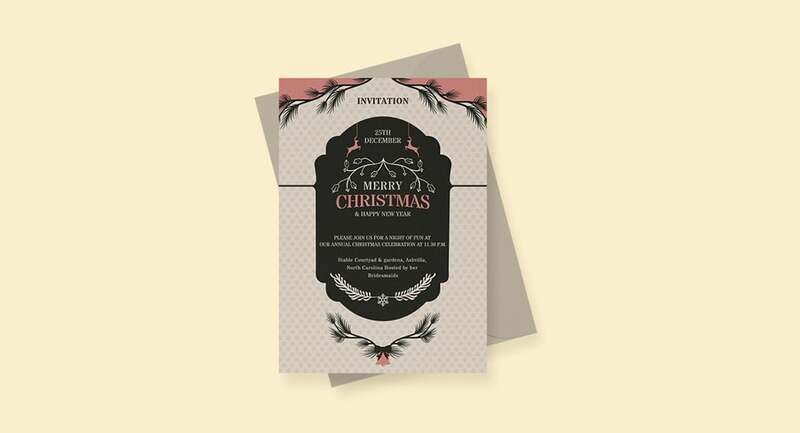 If so, here are examples of free Christmas invitation templates that you may not have heard of otherwise. They are all prepared by the Template.net and MotoCMS designers and are completely free to download for all our readers. Look them through, pick the best and invite your friends to participate in Christmas sales or visit the most exciting party of the year! 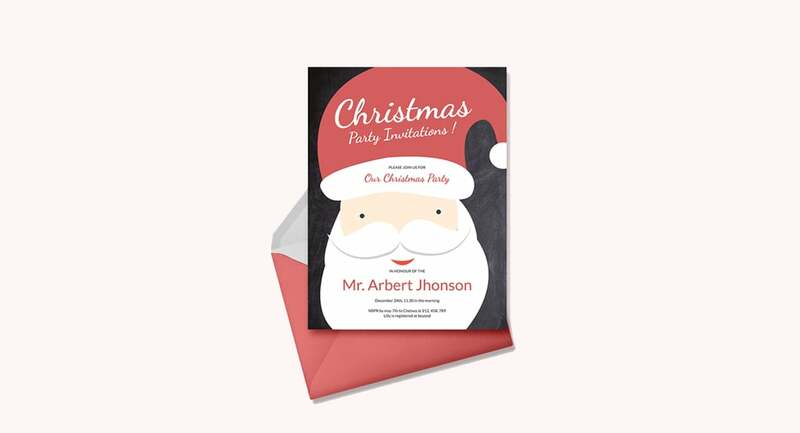 This is one free online Christmas invitation for a party that you would not want to miss out on. It is the first of 20 cool invitation templates designed by our friends. You should be able to see how simple and well-formatted this item is. With a pleasing minimalistic approach, its appeal is clear enough for anybody to see. 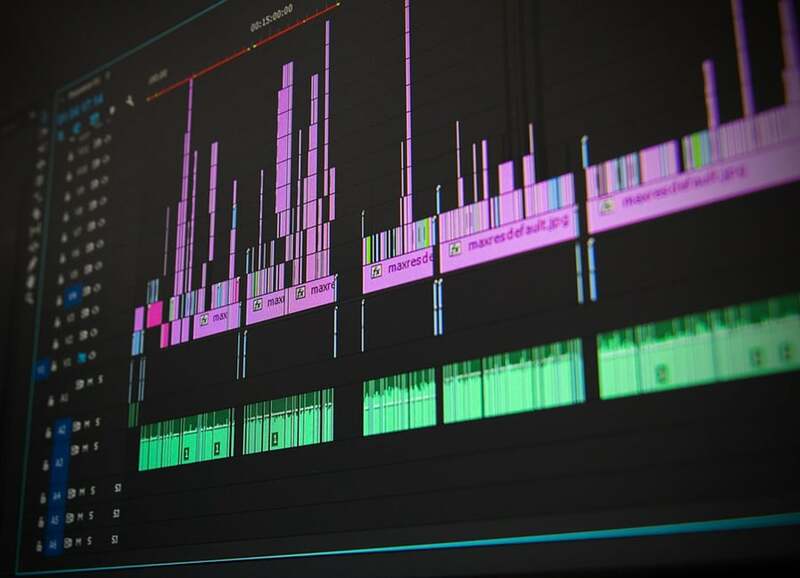 Regarding some of the more technical details of this item, you can expect it to come in multiple file formats, which include Microsoft Word, Adobe Photoshop, Mac Pages, and Publisher. It is also one of the more customizable items you can find anywhere else. Get this and you can guarantee yourself top notch quality in more than one category. 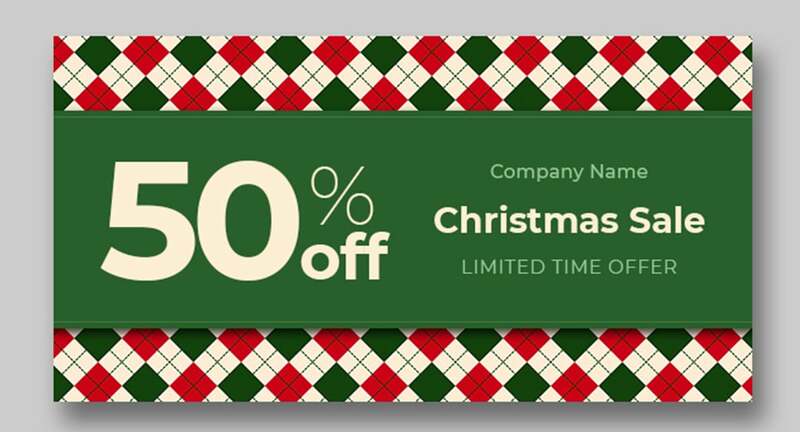 Treating yourself to free holiday invitation templates like this. 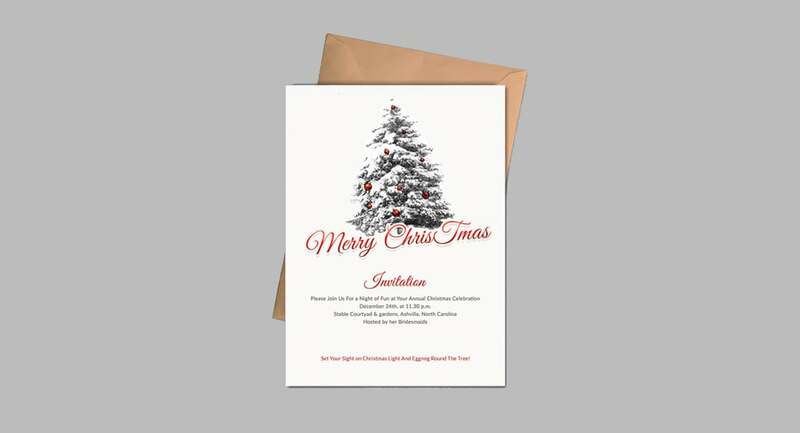 It is one of the best free Christmas invitation templates. It would be among the better ideas that anybody can come up with. What also makes this product so great would be the mixture of its wording and the strategic use of free space. The colors here are also on point, as it is neither too much or too little. One thing you can take away from this would be how appropriately proportionally everything is, making its overall design something of a jack of all trades. Just like the previous template, this comes available in several supported file formats which again includes the likes of Microsoft Word, Publisher, Mac Pages, and Adobe Photoshop. The key word to focus on here would be ‘simple,’ and this template certainly is just that. 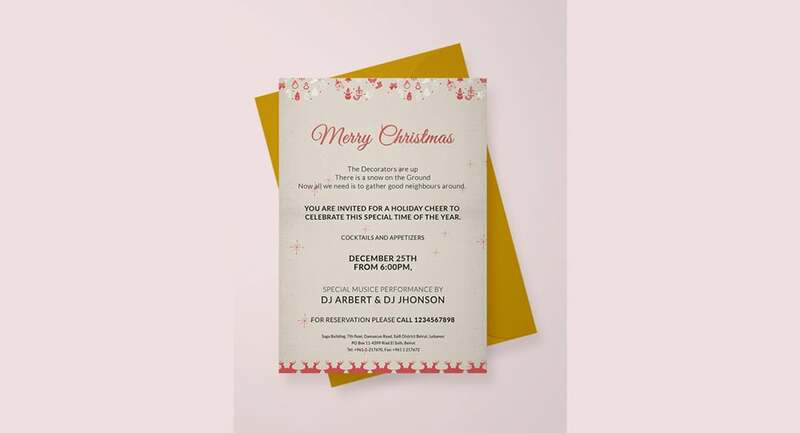 Among all the free Christmas invitation templates for party and holiday events, this is the one that can make the most impact with the least amount of elements involved. Still, there may be those who will criticize this for being a little too simple, but that would hardly matter since you can still appreciate the quality that is being devoted to each and every minute detail. If you are happy with this, then you would be happy to know that it is print-ready and is generally available for both commercial and personal printing at home. 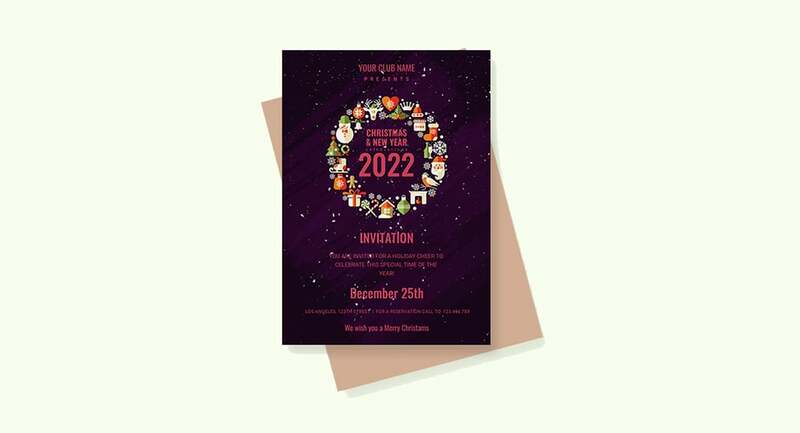 This invitation is best for those who are trying to come up with an invite for both Christmas and the New Year. Other than the benefit of being able to hit two birds with one stone, this template is just too good looking to pass up. Although spacious, the background also has its own subtle design, which prevents it from looking too blank or empty. Its typography is also well chosen, and anybody would be pleased with the choice of colors. If there are a few things you want to change, then maybe you can take advantage of the fact that this is an incredibly customizable item, which would only add to its overall appeal. 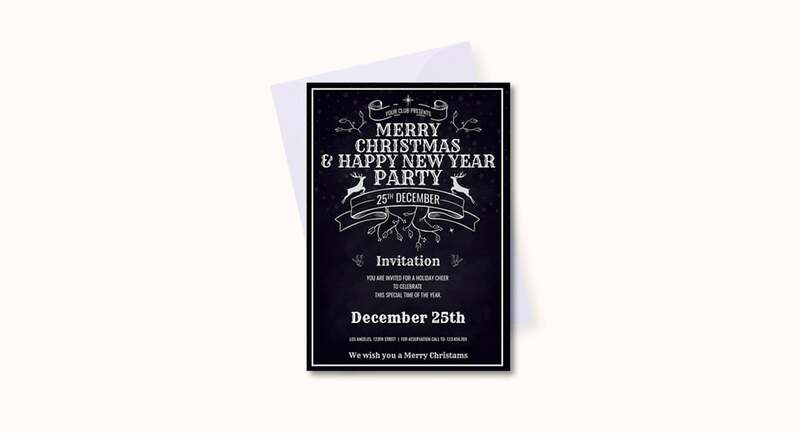 Few things can go wrong in choosing the Free Merry Christmas and New Year Invitation Template. 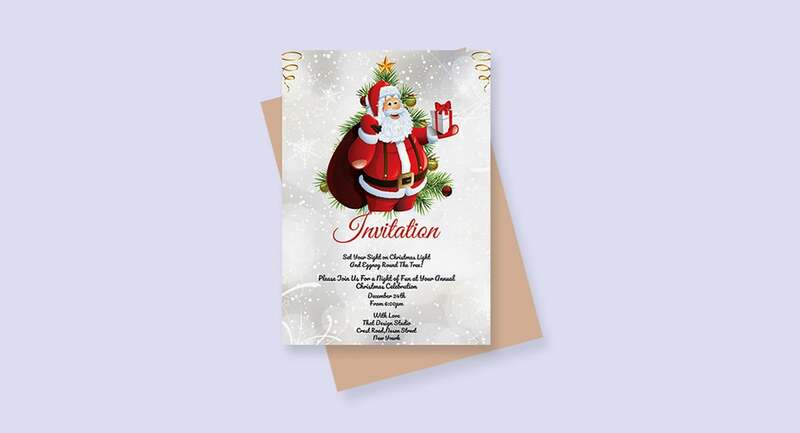 If a big picture of Santa Claus is your idea of an appealing Christmas design, then is there any doubt that this example is the best fit among our free Christmas invitation templates. It takes up tremendous amounts of space, that much is true. That alone can be a bit daunting for some who may not be that enthusiastic about seeing jolly old St. Nick’s mug so prominently featured, but there is no denying the fact that seeing this will immediately catch one’s attention. The color combination of red and black can also be considered well chosen because of how powerful and contrasting they both are towards one another. Like virtually all items in this list, if there is any detail at all that you have the inclination to change, then you are free to do so because of its high degree of customizability. What an invite this would be for anybody who receives it. 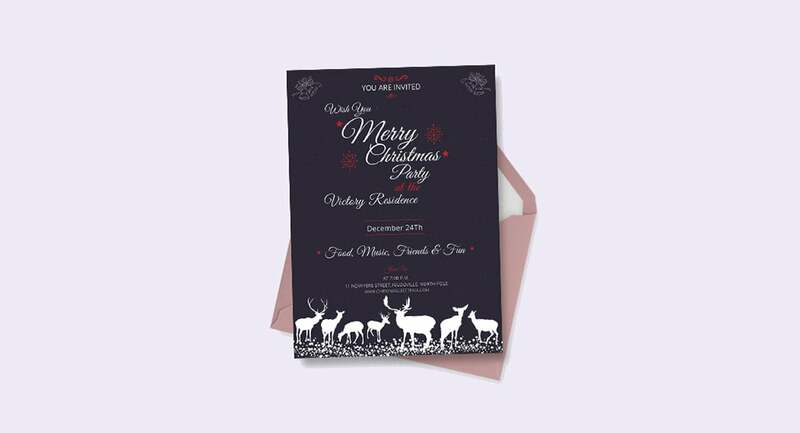 When designing invitation templates, it is pretty clear that simplicity sends more of a message than anything else, because you can feel the impact emanating from the Free Elegant Christmas Invitation Template despite all you see is a minimally designed tree and two red reindeers on a pure white background. Add a few lines dedicated to your message and intent, and you’ve got yourself a winner right here. 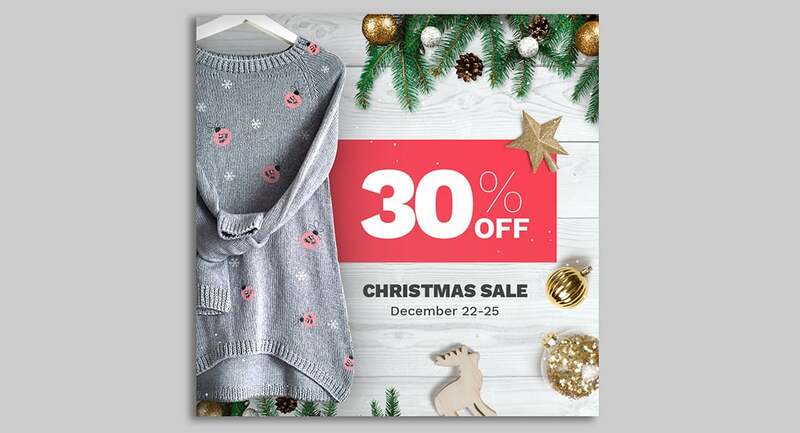 Like all other templates, such as free ugly Christmas sweater invitation templates, this comes in several supported file formats, which would include examples such as Microsoft Word, Mac Pages, Adobe Photoshop, and Illustrator, among a few others. This means there is a significant level of customizability in this product, which only adds to its already immense appeal. There is an interesting choice in the color red, which is often associated with power and desire. Alternatively, red also happens to be one of the colors often associated with Christmas. The contrasting black and white colors, plus the addition of red, makes this a subtle yet highly attractive choice as far as templates are concerned. What else can anyone say about this particular Christmas invitation template? 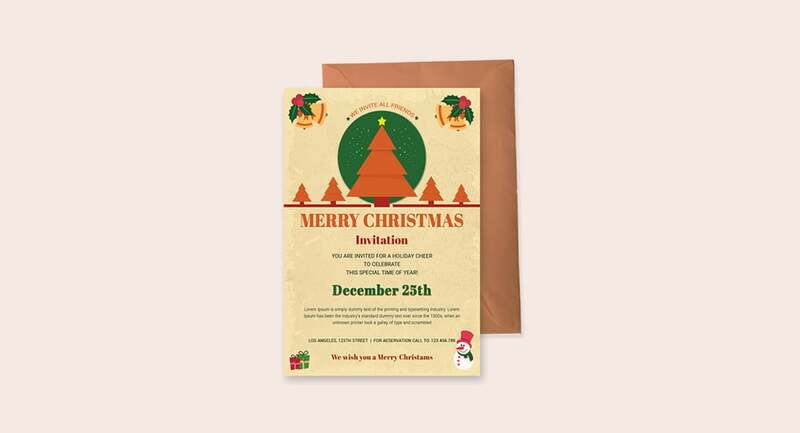 If you need high-quality free Christmas invitation templates that can help you invite people to parties and events that are going to take place during the Christmas and New Year holidays, then the Free Vintage Merry Christmas Invitation Template may be one of the best products for the job. Design-wise, it makes the most out of what it has, which is a limited color scheme that works wonders anyway and layouts that are neither too simple or too complex. You can get this in multiple supported file formats like Microsoft Word, Adobe Photoshop, Mac Pages, and so much more. In the event that what is presented does not entirely satisfy you, then you are free to add things or subtract others when necessary; the level of customization afforded to whoever gets this is among its highest selling points. 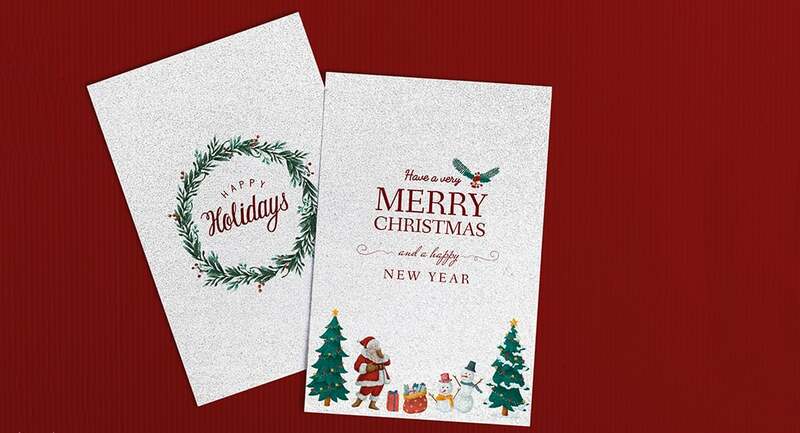 What else can anybody really say about what you are getting by choosing the free Christmas invitation templates? This item has a simple design that won’t be chosen by anyone for its uniqueness or creativity anytime soon, but what it may lack in anything special it makes up for with being quite solid in virtually all aspects of design. There is a decent variation in terms of what colors are being used; enough not to be too minimal, but also not too much that it becomes distracting. The decorative elements, like the snowman and presents in the lower corners, are pretty much on point. All in all, anybody would enjoy this template as they get it in its supported file formats of Microsoft Word, Adobe Photoshop, Mac Pages, and Illustrator. ‘Eat, drink, be merry.’ That is what it says on the upper right corner of the template. If there was nothing else printed on it, you may find that this invitation would still be effective in drawing people in. After all, eating, drink, and merriment, in general, are all necessary factors for wonderful Christmas parties. 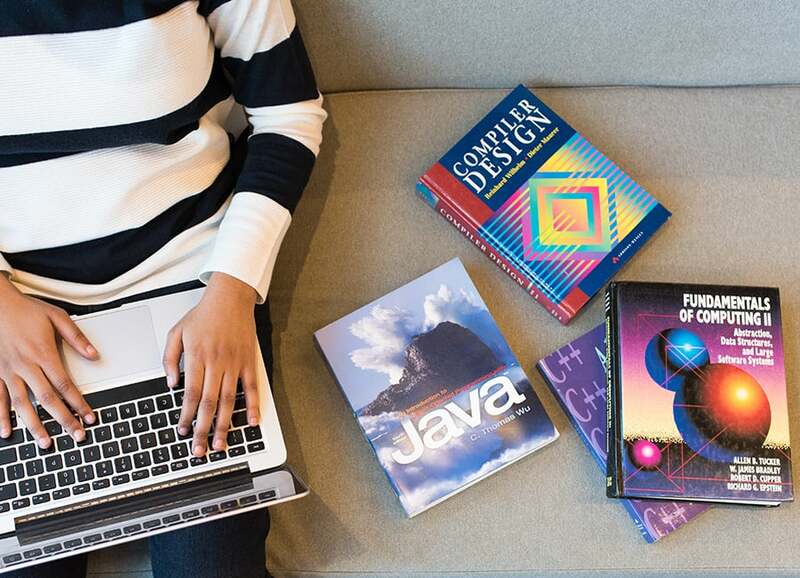 This is an easy to edit and print product that you can get in supported file formats such as Microsoft Word, Adobe Photoshop, Mac Pages, and Illustrator. In doing so, you finally achieve access to all of the Free Retro Christmas Invitation Templates glory. After all, who wouldn’t want something so bright and simplistic? As far as the term ‘modern’ is concerned, this template already has many of the necessary features and elements that anybody can associate with the present day Christmas season. Is there a Christmas tree that is filled to the brim with dazzling ornaments? Check. Bright colors of green, red, and yellow? Check. Throw in a bunch of reindeers? Check. So far so good. The Free Modern Christmas Party Invitation Template definitely lives up to its name. Acquiring this for yourself would mean choosing from its supported file formats of Microsoft Word, Mac Pages, Adobe Photoshop, and Publisher. From there, you can feel free to make any edits that you deem necessary. What else could be more modern than having a wide range of choices at your disposal anyway? 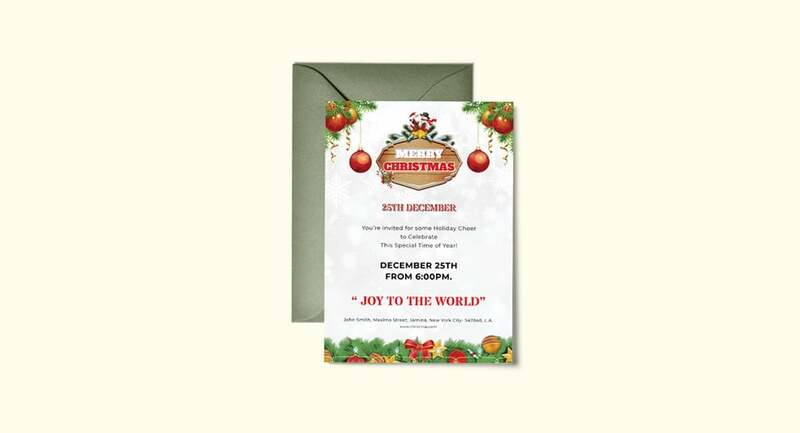 “Joy to the World” is the most prominent phrase that you will see in the Free Christmas Invitation Flyer Template. Colored in a deep red, you can help but notice it for its appearance and for what it represents when you think about Christmas overall. As a flyer template, this product has a level of quality that many potential buyers would be impressed with. The artwork featured on it is certainly one of the better ones to see, and this is also easy to customize. If there is something that does not suit your wants or needs, then simply make the necessary changes. Concerning the file formats, you can even get it in available options such as Microsoft Word, Adobe Photoshop, Mac Pages, and Publisher. With all of that said, is it any wonder that this item is so popular and pleasing? It definitely gives ‘joy to the world’ a whole new meaning. There are some people who would not associate simplicity with quality. However, those same people could not be further from the truth, as the Free Simple Merry Christmas Invitation Template already proves. 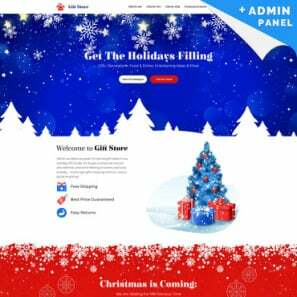 When people think of the Christmas season, there are many images that come to mind and a white background that presumably resembles snow along with a large, decorated tree is clearly among them. To top it all off, the phrase ‘Merry Christmas’ is prominently displayed right below the tree. What could be more Christmassy than that? As an invitation, this is incredibly effective as well. All you need to do is to get this in supported file formats like Microsoft Word, Adobe Photoshop, Mac Pages, and Publisher. From there, you can edit the text to include all the necessary details of your own event. 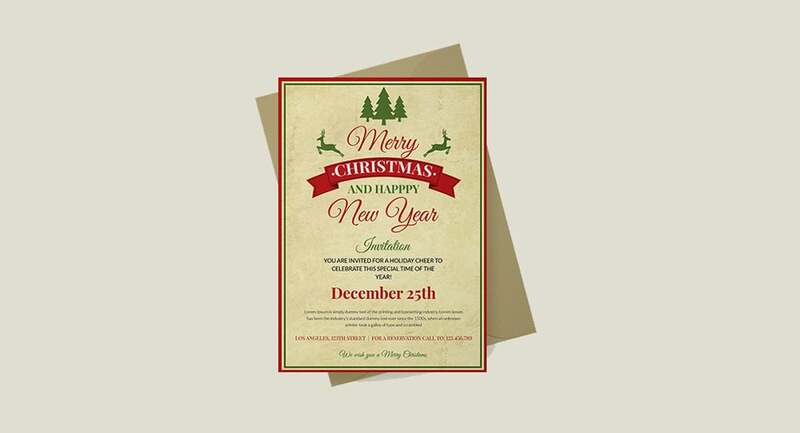 It is always a good idea to have something like the Free Christmas and New Year Invitation Template around. One reason for this is that as an invitation for both Christmas and the New Year, you are basically hitting two birds with a single stone with this one. Another reason would be the fact that this is an incredibly attractive item on its own, regardless of what its practical purpose really is. 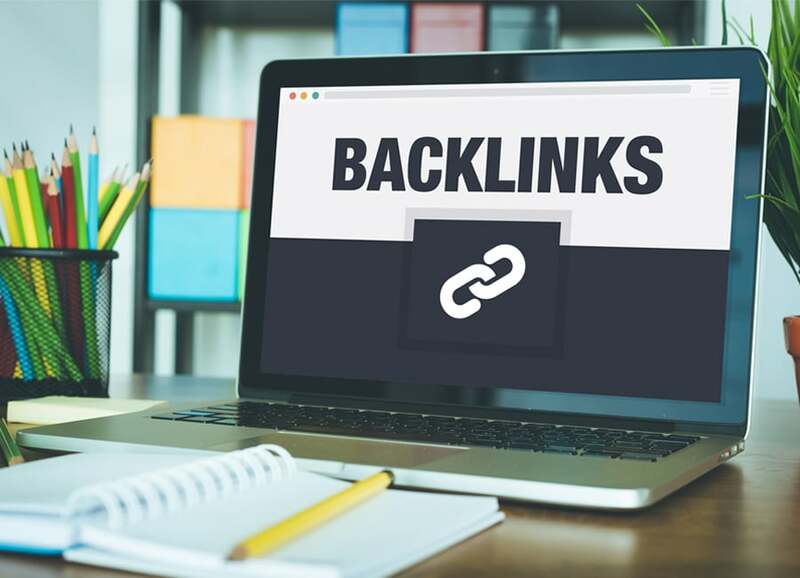 Basically, you are getting something that works on multiple levels since it is also highly customizable and you can get it in multiple file formats, which would include Microsoft Word, Adobe Photoshop, Mac Pages, and Publisher. And despite what the image says, you don’t have to wait until 2022 to get your hands on something like this. 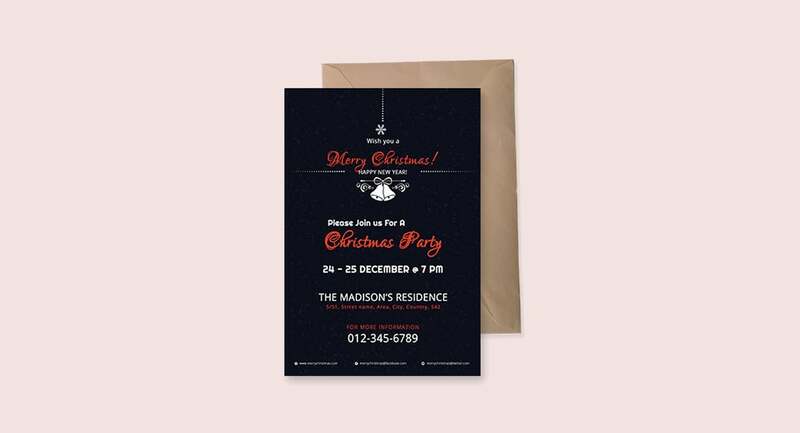 The Free Creative Christmas Party Invitation Template is one of those items that anybody would love to have and give out to potential guests. Getting this means getting a high-quality product that can forebode just how much fun your own Christmas party is going to be. Design-wise, there is a lot that this item has got going for it. 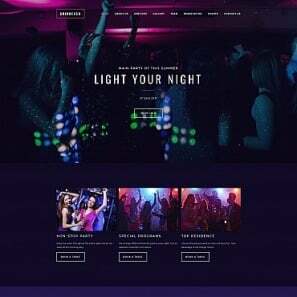 The choice of colors is certainly among the best you’ll find anywhere, giving it an air of simplicity and sophistication that are not otherwise present in many other templates. This is also easy to edit and customize, so you don’t have to worry about your necessary details missing from for invite. Lastly, there are multiple file formats for you to choose from, which includes Microsoft Word, Adobe Photoshop, Mac Pages and Publisher. 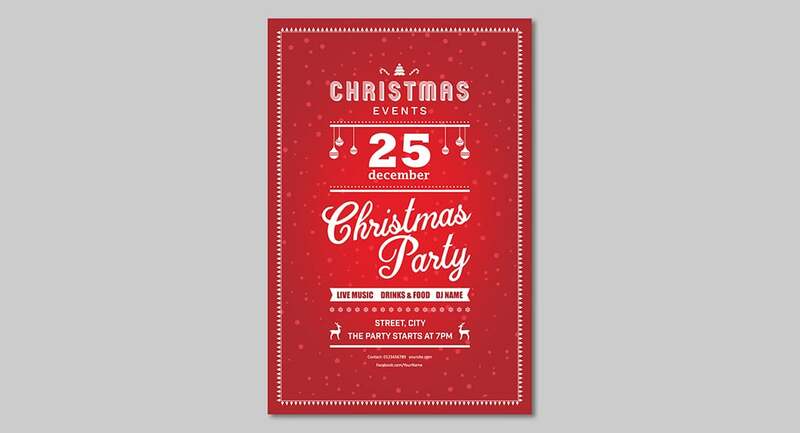 Get the Free Creative Christmas Party Invitation Template and you won’t regret anything; that is a guarantee. For many people, the word ‘vintage’ is often synonymous with ‘classic,’ and for many products, this is easy to see why. 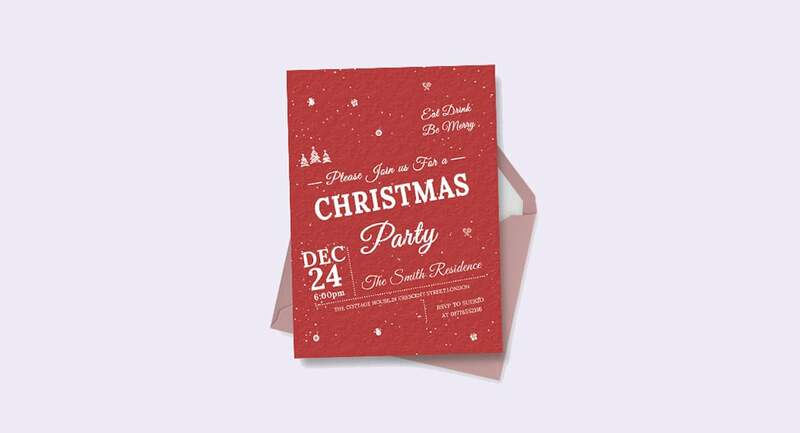 The Free Vintage Christmas Invitation Template can easily be among those that are considered classic due to its well-designed aesthetics, which harkens to a time when things were a little less complicated and far more down to earth for everybody involved. Most important of all, this is an invite that you can use not just for the Christmas season but also for the New Year. All you need to do is get this first by choosing from a small selection of supported file formats. This includes Microsoft Word, Adobe Photoshop, Mac Pages, and Publisher. From there, make the necessary changes to the text so you can specify your own details. 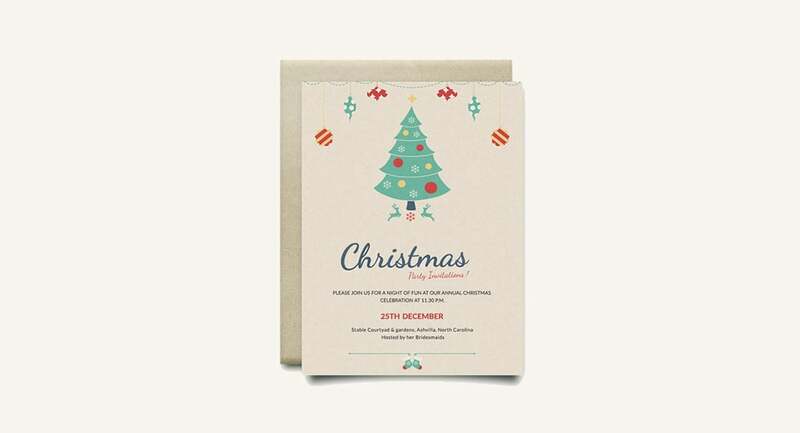 Clearly, few products are as on point and beautiful to look upon as the Free Vintage Christmas Invitation Template. 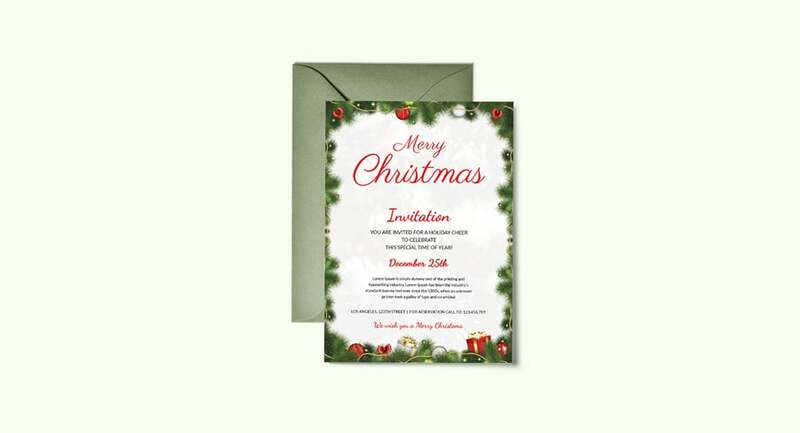 The is certainly among the most filled up free Christmas invitation templates you will find anywhere. 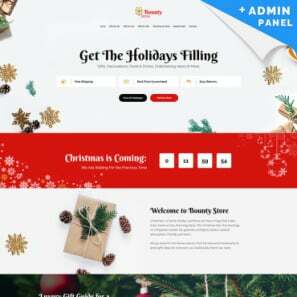 Its design is simple enough, starting things off with a white background, before placing a large ‘Merry Christmas’ smack dab right in the middle of it all. From there you can clearly see a plethora of Christmas-related imagery, stacked onto the merry Christmas phrase, and coming up with a pyramid shape. Below all of the gingerbread men, houses, presents, and Christmas candy, the phrase, ‘eat, drink, and be merry’ are boldly placed. 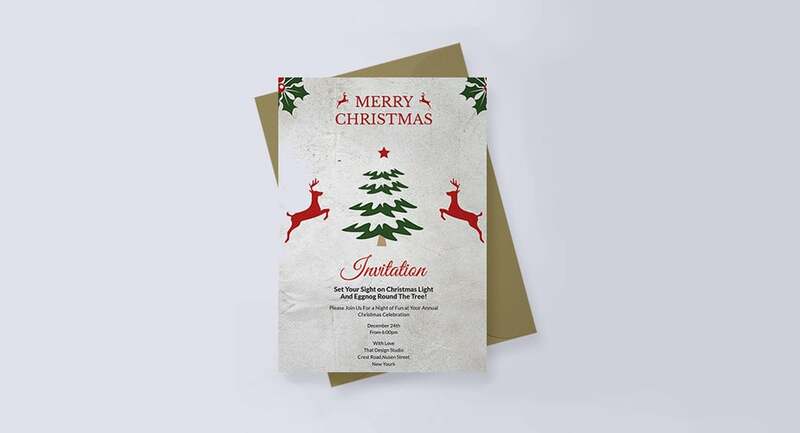 At a time when many are going for simplicity and making good use of blank spaces, the Free Creative Christmas Invitation Template is going in the exact opposite direction, but it seems to be working quite well for itself regardless. Don’t forget to make your own edits regarding the text and you should be good to go. When Santa Claus is in the middle of the whole design, you already know what the theme is going to be. 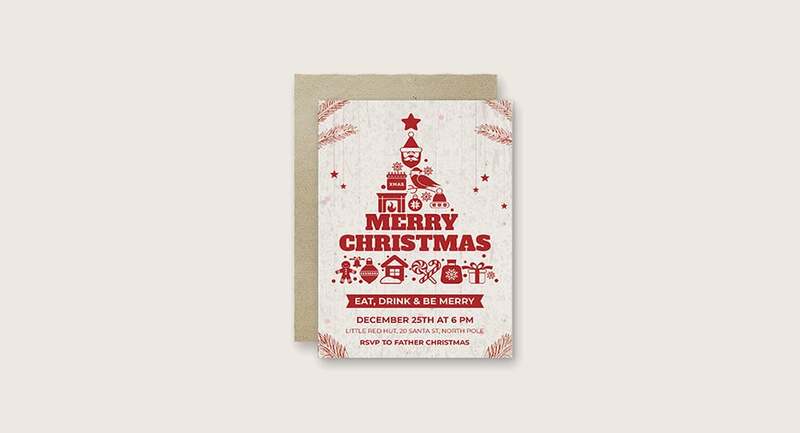 Being as bold and direct in this manner is an advantage because people will know from the get-go that you are looking to invite them to a Christmas-themed party, which eliminates any need for other design elements that may just end up making the whole thing look bloated. Simplicity is the key to success for many templates, and this is certainly no different. 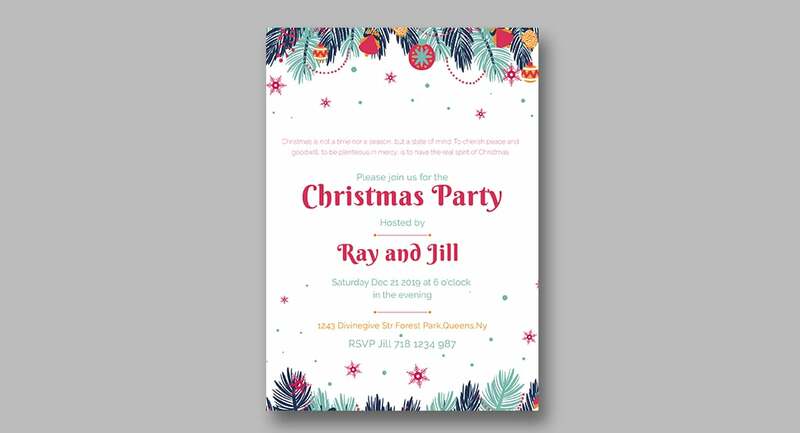 All you have to do is make your own edits concerning the texts, as well as choosing between the different supported file formats of the Free Simple Christmas Invitation Template: Microsoft Word, Publisher, Mac Pages, and Adobe Photoshop. Black and gold are both very interesting choices to make when you are looking into free online Christmas invitation for the party. The background definitely looks like it could pass as a chalkboard, with the faint white smudges all around it. The golden Christmas tree and reindeers are also an excellent touch to include. Once you get this, you are totally free to make your own edits to the text and all the little details that you feel like changing. Concerning the available and supported file formats, the ones people can get this in would include Microsoft Word, Adobe Photoshop, Mac Pages, and Illustrator. After getting something like this, you may not want to get anything else. 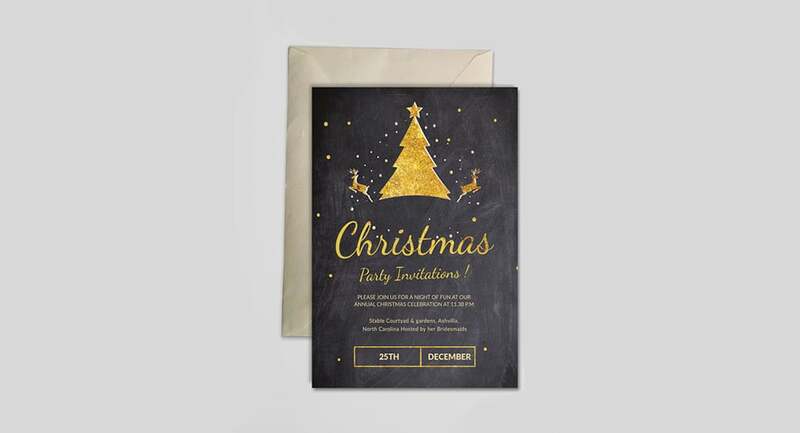 Lastly, we now turn our attention to the Free Chalkboard Christmas Invitation Template. What makes this a template worth getting would be its unique chalkboard design, which may or may not take a lot of us back into our classrooms in a wave of pure nostalgia. Besides that, it just looks way too good and well-made for just anybody to pass up. You even have little reindeers, mooses, and what have you, as decorative elements at the very bottom. Concerning the text, there really isn’t much to display here, giving it a minimalistic feel of its own. Supported file formats for this particular item includes Microsoft Word, Adobe Photoshop, Illustrator, and Mac Pages. Like all the others, getting this template means a certain level of customizability and freedom. 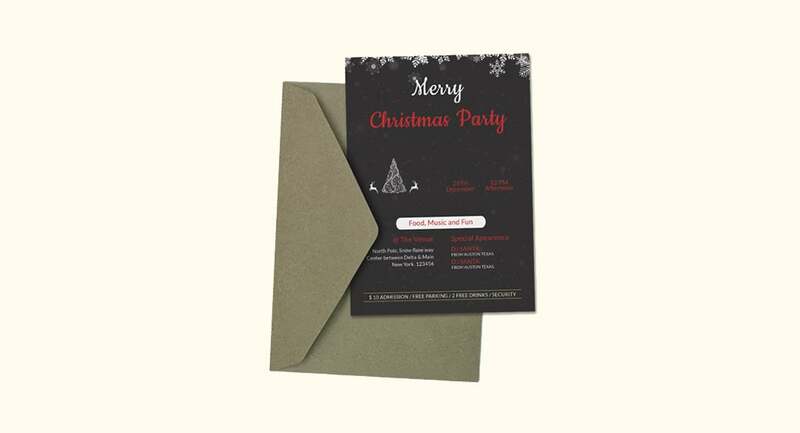 So now you know what available options you have in the event you are looking for free Christmas invitation templates. Feel free to look through them all over again if you aren’t entirely sure of what to get yet. 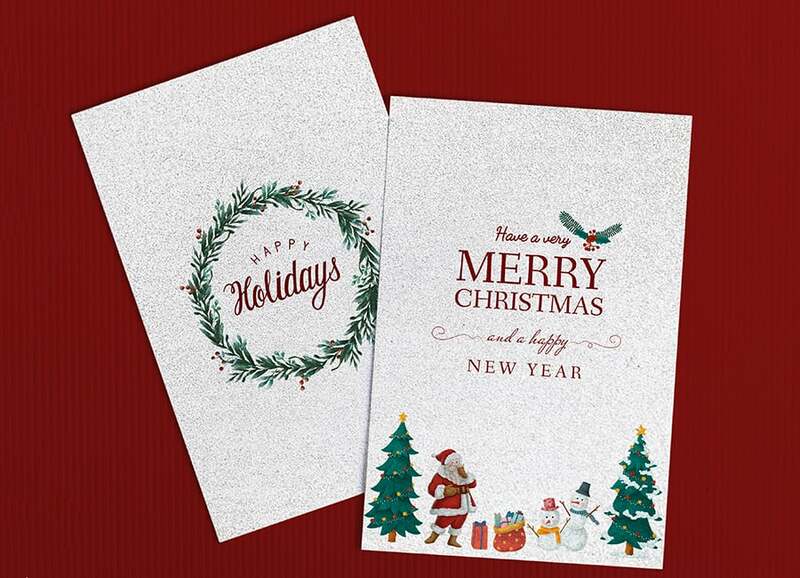 There should be no question that these are some of the most well made and attractive free holiday invitation templates out there; better than any free ugly Christmas sweater invitation template you may have seen before or since. Hope you like them. 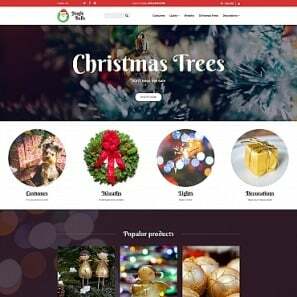 More than that, if you are planning to make a Christmas website, check our Christmas website templates and try any of them for free. Lisa Smith is a designer and content writer at Blueberry Labs an innovative global product company with cutting-edge technology, powerful content & creative designs.